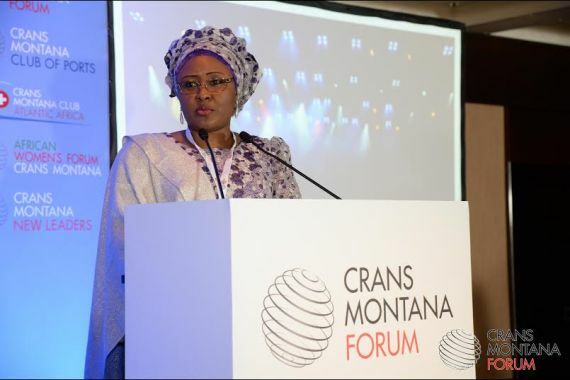 For over one week, Mrs. Aisha Buhari, Nigeria’s reigning First Lady has been dominating the media space in Nigeria. Given the weight of what she said recently, which went viral on the internet, Mrs Buhari words are now a quotable quote in many public statements, articles and commentaries in the country. She must have also made wide impact globally, as the world is now a global village, thanks to online media and innovations in communication technology. By a mere expression of her view, against the modus operandi in the administration of a democratic government where her husband is the President and Commander-in-Chief, she stirred the honest nest. She is today seen by many as an icon of a sort. 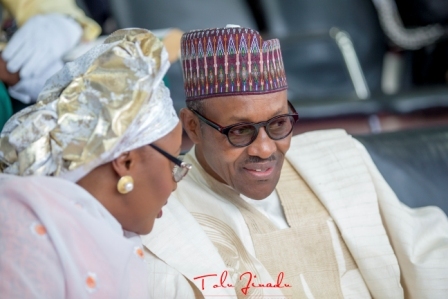 Mrs. Aisha Buhari, in an interview she granted to BBC Hausa Service on October 14, 2016 pointed out many obvious flaws of the President Muhammadu Buhari-led administration in Nigeria, proffering what many have to accept as cogent and competent solutions and alternatives to the issues facing the nation. The interview which was quite revealing has given further insight to the undercurrents in the present administration. It has established more reality zones of incompetence, mistrust, inconsistency, impunity and insensitivity in a mission less and visionless system. Her intelligent and careful articulation was an exposé of an administration of what some have described as new internal colonial masters by fellow Nigerians, holding sway in power and doing more damage to Nigeria. Mrs. Buhari, being highly sympathetic to the national course and having been knocked down with the obvious fact that few relentless mediocre and opportunists in the system are subverting government, had no other choice than to split the Pandora box open. It appears, nonetheless that there is nothing new in what she has said. Many Nigerians have earlier expressed apprehension about Mr. President’s performance. What just played out is that she spoke the minds of Nigerians and vented her frustrations with the turn of events. There is no doubt that she spoke with good intents. Her statements couldn’t have been made to discredit the president because she loves her husband. She is also closer to him than any other and should understand him better. In this trying time of the Nigeria nation, the outburst of Mrs. Aisha Buhari should not be decried. The situation is better expressed in the proverbial words of John Muonye in his book The Only Child, “what Chiaku thought to be an island was nothing but the back of a dangerous shark”. This is rather an event that douses our tense sensibilities, shrouded in subjection of Nigerians to unprecedented level of hunger and starvation, poverty, sufferings and deprivations. What she did has also de-escalated the situation in the face of battered economy, denials and multiple rights infringements that were hitherto unknown. Her comments, who knows, could mark a turning point for a government that has been most culpable in precipitating the current economic recession and generating growing disquiet, displeasure and confusion in the entire citizenry. It could offer a template that could instill flexibility to salvage the “crumbling giant” and impact sanity in the system towards a successful governance to ensure an indisputable legacy. Without prejudice, Mrs. Aisha Buhari is living her pledge to our county Nigeria. Like other citizens, she has severally pledged, “To be faithful, loyal and honest. To serve Nigeria with all my strength”. She perfectly fits into this severally repeated wise saying: “Seest thou a woman diligent in her ways”. Perhaps, Ellen G. White, the American prolific writer had Mrs. Aisha Buhari in mind when she wrote, “The greatest want of the world is the want of men who will not be bought or sold, men who do not fear to call sin by its name, men whose conscience is as true to duty as the needle to the pole, men who will stand for the right though heavens fall”. Unfortunately, and to the chagrin of the entire world, the response of the President apparently dismissed these concerns with contempt. The president rather chose to denigrate the woman and women in general to the confines of the kitchen and the bedroom. Most disgustingly, it was done before a female German President, shocked German audience and an utterly dumbfounded world. The President’s comments went beyond the pale. They were inflammatory, inconsistent and not compatible with modern ideas. Very unthinkable! It is purely an expression of his posture and a prismatic reflection of the composition of this government and the disdain to which women are held by the government. It is quite embarrassing, politically incorrect, far below the standard of human decency and globally intolerable and unacceptable. And I wish to ask these questions: What was the intention of President Buhari’s response? Make women to feel daunted, cowed, frustrated or disgruntled? No! Never. It rather presents as a clarion call to “Every Woman” to deepen her resolve to do right things right and give life to a dream. It should be a challenge for Nigeria women especially, to struggle and better their situation to reaffirm their abilities, prowess, intellect and power to prove that they are more than a unit of the family organization. This is the time to reawaken the demand of mainstreaming gender in public policies in order to influence the course of social change in the society for a better world. Higher responsibilities are never dependent on gender. Mrs. Angela Merkel of Germany is a proof. Men cannot do it alone. One had expected on the contrary, that the President could have taken advantage of the wisdom and courage exhibited by his wife to readjust and do the needful. For example, his fight against corruption and the financial recovery which apparently is wrongheaded and targeted has become most unpopular and should have been redressed. Citizens are more concerned about the excruciating and unimaginable economic hardship and joblessness facing the entire nation. The various security challenges including the impunity of the cattle herdsmen particularly in the Middle Belt and Southeast of Nigeria and of course the federal capital territory now in the map is yet to receive adequate attention. And the widely campaigned “change” still remains a mirage. There could be no better opportunity than now, to evoke Buhari’s earlier popular, but now outdated remark, “I belong to nobody. I belong to everybody”. It was assumed this was irrespective of creed, gender or race, after all he pledged “to defend the country’s unity and uphold her honor and glory”. Instead of being hell-bent on knocking icons off their pedestals, it would have been more thoughtful for him to address the overarching theme of marginalization and promote the status quo to adjust the ladder that excludes women’s participation. It should be appreciated that the role of women, in a standard operating practice, as a major factor in the internal control system in any democracy has been quite significant and dynamic. Although Nigeria’s democracy could be perceived as one of the most abnormal situations in the world, neither circumvention nor restriction can distort or dissuade the natural and traditional model of women. They are key in facilitating and galvanizing efforts and services towards nations building and to ensure development and sustainability. No matter how dumb one may claim to be, the emancipation of women is a civil right. They are generations that need to be reached and harnessed. There is no alternative.